Congo is the destination for adventure safaris & gorilla safaris. 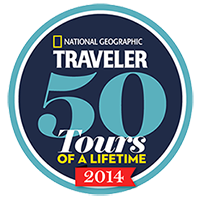 MTT's lowland gorilla safari to Nouabale-Ndoki National Park won National Geographic Traveler 50 Tours of a Lifetime Award in 2014. 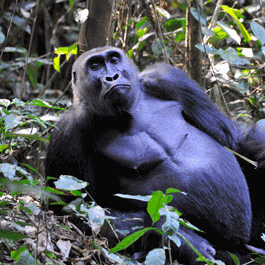 Why visit the Congo Basin for a Gorilla Safari? The Republic of Congo's Nouabale-Ndoki and Odzala National Parks and the Central African Republic's Dzanga-Ndoki National Park preserve what are among the most beautiful, accessible rain forests in Africa, and the last of their kind on the planet. While wildlife research in the parks is an important focus, Nouabale-Ndoki, Dzanga-Ndoki and Odzala National Parks also provide one of Africa's most adventurous wildlife experiences - access to the planet's only habituated Western lowland gorilla silverbacks and their harems and Central Africa's highest concentrations of Forest elephants. The Ba'Aka, the Central African indigenous people who serve as gorilla trackers and who are the cornerstones of the gorilla habituation programs, are a highlight of any visit to the Congo Basin's national parks. Both Brazzaville (ROC) and Kinshasa (DRC) are convenient cities for combining visits to the Congo Basin with other regional destinations such as Gabon; Sao Tome; Rwanda and Uganda, Tanzania, and more. MTT offers hand-picked travel (always with current security issues in mind) to the Democratic Republic of Congo where Eastern lowland gorillas are found at Kahuzi-Biega National Park and Mountain gorillas and chimpanzees are found in Virunga National Park. With more flights available within Africa, it has never been easier to combine a safari in East or Southern Africa with the lowland gorillas and culture of Central Africa. A day visit to the bonobo sanctuary, the only one of its kind in the world, just outside of Kinshasa (DRC) is very rewarding. One and two day trips to Kinshasa can be arranged from Brazzaville in the Republic of Congo pre-and post-safaris to Nouabale-Ndoki or Odzala. Orphaned and rescued from local markets, bonobos are destined to end up as bush meat. Their caretakers at the sanctuary are primarily Congolese women. The goal is to re-introduce as many of the bonobos as possible to the wild. 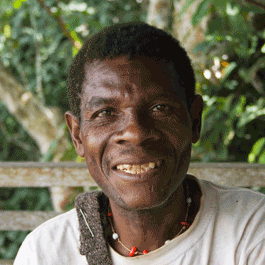 We offer itineraries to destinations in the Congo Basin. MTT's Director lived for two years in Brazzaville, Republic of Congo, which is when she first became enamored with gorillas. 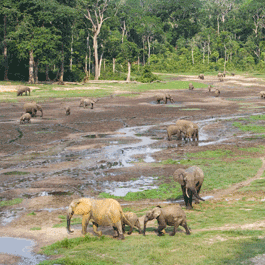 She brought her first guests to the Congo Basin parks of Nouabale-Ndoki and Dzanga-Ndoki in 2008. 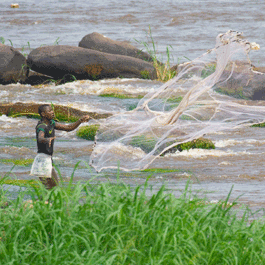 Travel in the Congo remains defined more by what does not go to plan than by what does. MTT understands the necessity for tried and trusted logistical support from beginning to end of any journey to Congo. Outside of Brazzaville and Kinshasa, it's all relative. Two-star lodging in the beginning will look and feel like five-star lodging by the end of your stay. Congo is for Africa-savvy travelers who understand that one doesn't come to Congo for the hotel rooms or the cuisine. The final cost of a safari depends upon many factors: length of the safari; accommodation choice; seasonal rates for accommodation; safari vehicle rental; fuel; driver and guide expenses; local flights; airport transfers; and park, community and activity fees. Operators which offer set departures and itineraries which don't alter greatly throughout the year can provide safaris already priced on their websites. MTT's specialty is bespoke safari services. Each itinerary is personal and its cost varies. However, typically, safaris in the Congo Basin countries fall between 600 - 800 USD per person per day, a reflection of the complicated logistics of this remote area of Africa.